The new Amazon Kindle is sized at 6.3 inches by 4.5 by 0.36 inches and weighs 5.7 ounces (161 grams). The device comes in black or white, and it will have 4 gigabytes of memory —twice that of its predecessor. 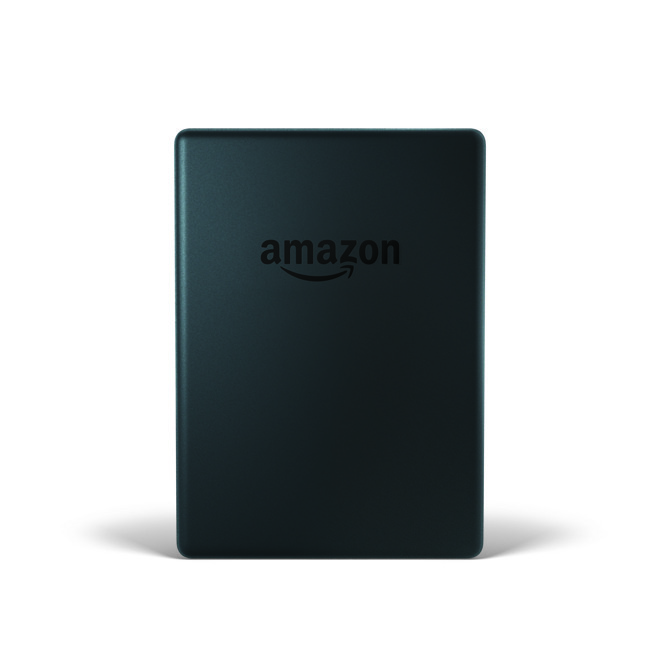 Amazon is also offering free cloud storage for all digital content purchased through the online retailer. The Kindle's high contrast touchscreen display is designed to read like paper while eliminating glare, even in direct sunlight. And, by not emitting light, the screen won't cause sleep loss by creating blue light that inhibits production of melatonin. New, proprietary fonts are being offered to improve reading and the blacks and whites on the page will be uniform for the sake of text and image quality. A single battery charge is touted as lasting weeks rather than hours, assuming a half hour of reading a day with the wireless off. Fully charging the device will take four hours from a computer using a USB cable. However, the device itself is fully wireless and doesn't need a computer to download content. Reading features include better export of notes and highlights to email. A printable PDF option will be available as part of a free, over-the-air software update. To prevent distraction, the device won't accept alerts or notifications. Bluetooth audio will be built into the device for the visually impaired to use the VoiceView screen reader without the need for an adaptor. An updated interface and improved navigation will allow users to personalize their home screens and manage favorites, wish lists and book recommendations from friends. In a clear bid for the Chinese market, Chinese Word Wise Hints will be available by changing the language in Word Wise settings. At $79.99, the basic Kindle remains Amazon's most affordable e-reader. It joins the rest of the company's lineup: the $289.99 Kindle Oasis, the $199.99 Kindle Voyage, and the $119.99 Kindle Paperwhite. 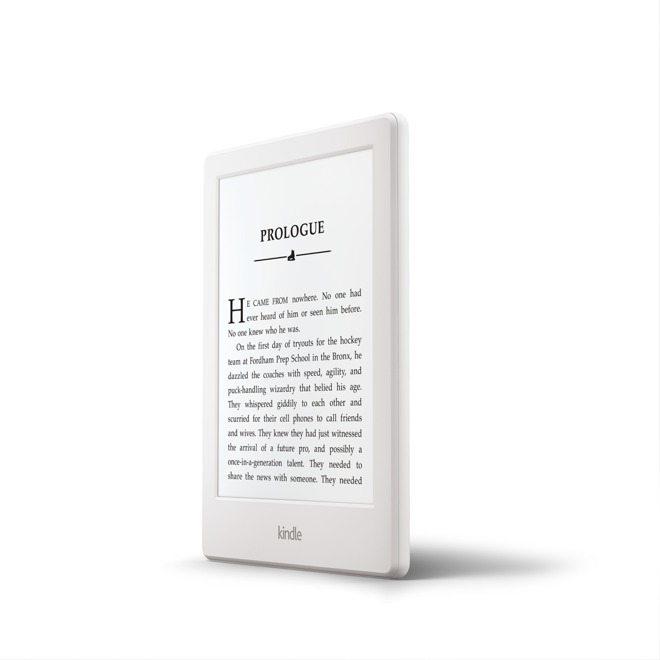 "Tens of millions of readers around the world have Kindle e-readers and today, we're excited to make our most affordable Kindle even better, while keeping the same breakthrough price point," Arthur van Rest, Kindle general manager, stated in a press release. 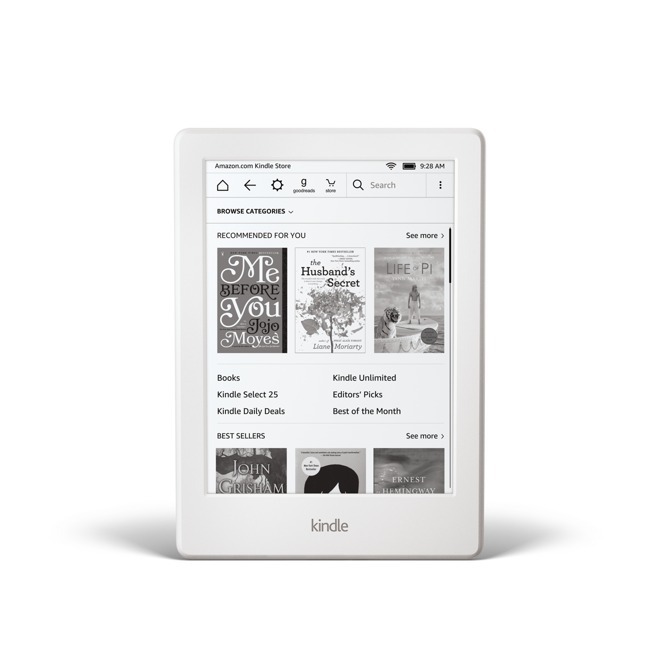 "With a thinner and lighter design, twice the memory, and all the features customers love about Kindle, it has never been a better time to be a reader."